• It should always be kept in the refrigerator in a dark bottle to maintain freshness. • Never cook with flax oil or heat it on the stove or in the microwave. — this destroys the benefits of the oil. 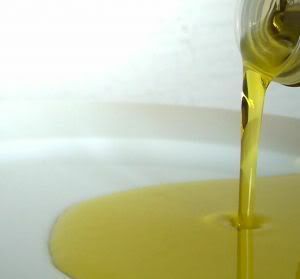 • As the oil sits over time it loses its freshness, smelling and tasting stronger. Add all ingredients together in a blender and mix. Try adding protein powder, fresh or frozen berries, cherries, or whatever fruit you like. Great for breakfast or a snack. In a bowl or blender mix everything except the flax oil. Trickle the oil in slowly while blending or whisking vigorously, until the dressing is thick and smooth. Keep extra dressing refrigerated in a dark bottle for later use. Try it over salad, grains, vegetables, fish, etc. Whisk ingredients together and store in the refrigerator in a dark bottle. Great as a light dressing over lettuce, grains, vegetables, etc. Adjust the proportions to taste. For a more unique flavor add a few pinches of one or more of the following: onion powder, oregano, basil, or curry powder. Be creative.